The fabulous Divi Village will rise above the white sand beach and sparkling blue waters to fulfill your most memorable vacation. Golf, shop and enjoy all types of water sports activities within minutes of the resort or simply sit by the pool and watch the sun and gentle breeze dance across the water. Discover Aruba's fine dining, entertainment and the "Alhambra Casino" by night. 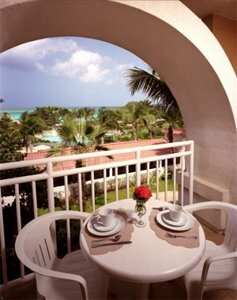 Set across from Aruba?s best white sand beach, the all-suites Divi Village provides a fun-filled yet relaxing vacation. Ocean or Garden view, King bed, Queen Sleep Sofa, Full kitchen, TV, Patio or Balcony, 1 Bath. Ocean or Garden view, King bed, Queen Sleep Sofa, Full kitchen, TV, Patio or Balcony, 1.5 Bath. Garden view, King bed, 2 twins, Queen Sleep Sofa, Full kitchen, Patio or Balcony, 1.7 Baths. Ocean or Garden view, King bed, 2 twins, Queen Sleep Sofa, Full kitchen, Patio or Balcony, 2.5 Baths.